Partying the night away and getting dressed up in disguises is so much fun. What's not to love about a Mardi Gras party? Everything about it is colorful and electrifying. 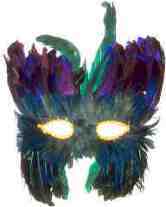 Create small Mardi Gras masks and print the invitation info on the back. Decorate the front with colorful feathers, beads, glitter or anything else you can find. Don't feel like creating your own invitation? 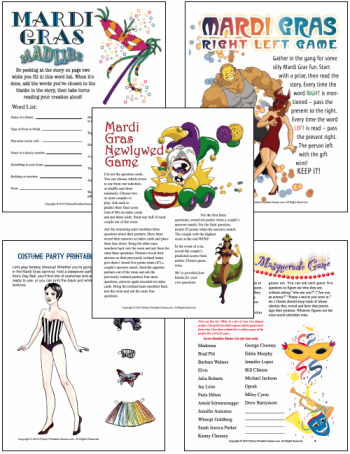 Use our free printable Mardi Gras party invitation. You will need to cut the sheets in half and then fold each invitation along the dotted line. While folded cut around the outside edge of the mask being sure to leave the two outer corners at the top attached. Cut out the eye holes while folded also. 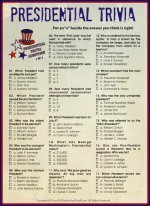 You can then use the inside to include any extra information about your party or just glue it shut. There is also a blank Mardi Gras invitation available. To view these printable pages, you will need Adobe Reader installed on your computer (the latest version is recommended). You can get your free Adobe Reader here (a new window will open so you can download without leaving this page). If for any reason you cannot download either of these invitations please contact us. The predominate colors of Mardi Gras are green (faith), purple (justice), and gold (power). Use any mixture of these colors as much as possible when decorating for your Mardi Gras event. Create or purchase numerous masks and hang them from the ceilings and on the walls. You can find instructions for making your own masks at Martha Stewart Living. Make up several helium balloon bouquets in the Mardi Gras colors and set them in various locations around your party venue. Use tons of streamers and beads to add to the festive atmosphere. If you can find some New Orleans posters hang them up too. Use colorful tablecloths and party paper supplies. For even more decorating ideas check out the fun Mardi Gras supplies at Shindigz. Fried chicken and king cakes are traditional Mardi Gras foods. You'll find Mardi Gras recipes include lots of variety, color and spice. Whatever you decide to make though, be sure to include a king cake in your menu. King cakes are such an historical part of Mardi Gras and so fun. and of course, one of the most popular Mardi Gras drinks the Hurricane. A costume contest is a must for a Mardi Gras party, but if you don't think your guests are up to it, have them bring a mask. Play any New Orleans inspired music while your guests form a colorful parade line and compete for best costume/mask. Alternative: Provide all of the supplies for making masks at the party location and have your guests compete to design and model their creations in a given time period. Feeling Daring AND creative? Why not give Mardi Gras body painting a try. Whether you decide to paint your whole body or just your face, you'll definitely catch the spirit of a true New Orleans Mardi Gras. Rent carnival games or design your own. Play fun Mardi Gras music while your guests compete. Hand out strands of beads to the winners of each game. The person with the most beads at the end of the party gets a door prize. If you're planning a Mardi Gras party you MUST have beads. Beads are a huge part of any Mardi Gras celebration. Use them as prizes. Slip one strand around the neck of each of your guests as they arrive. Have tons of them on hand. Let your guests compete for them in as many ways as possible. Having the most strands of beads at the end of a Mardi Gras event is a BIG deal. Give a Mardi Gras music cd as a door prize so the winner can relive the party for days to come. For other prizes check out Shindigz. If you want to hand out favors, check out the links under prizes above or design a little recipe book with all of the recipes you used for the party.